Kevin came into the studio and wanted to commission a pendant for his partner Julie. 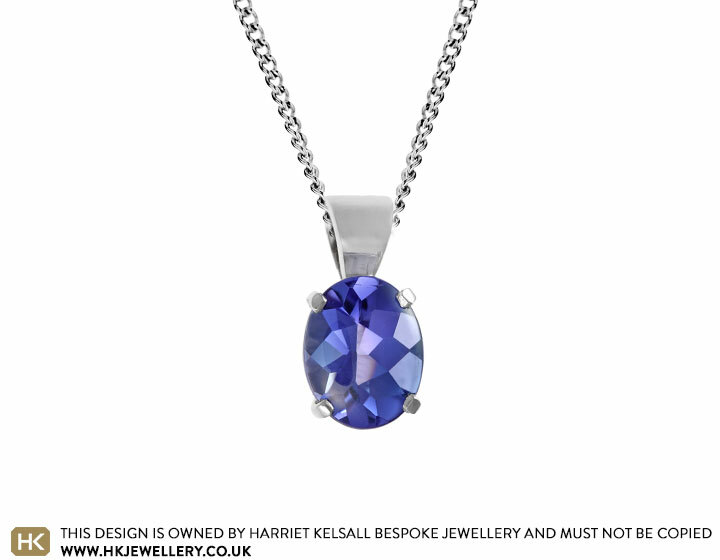 He purchased a stunning 3.13ct oval cut buff top tanzanite to present to her with design sketches in time for Christmas. Kevin and Julie then returned to the studio on their anniversary to design the pendant together.Julie loved the appearance of a simple bail and claw set design to ensure that the focus is completely on the beautiful stone. 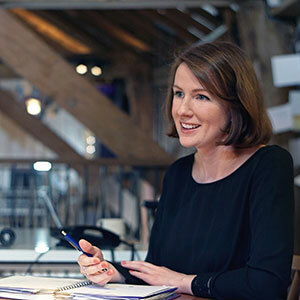 The tanzanite is held in a four claw setting to a fixed tear drop shaped bail and after talking through the metals Julie decided that she liked the durability and colour of the palladium. 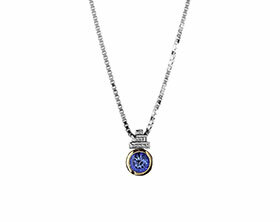 The pendant sits on a 16 inch palladium spiga chain which complements the traditional design of the pendant. 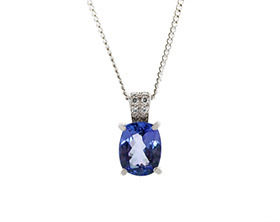 Bespoke 18ct white gold tanzanite diamond pendant.